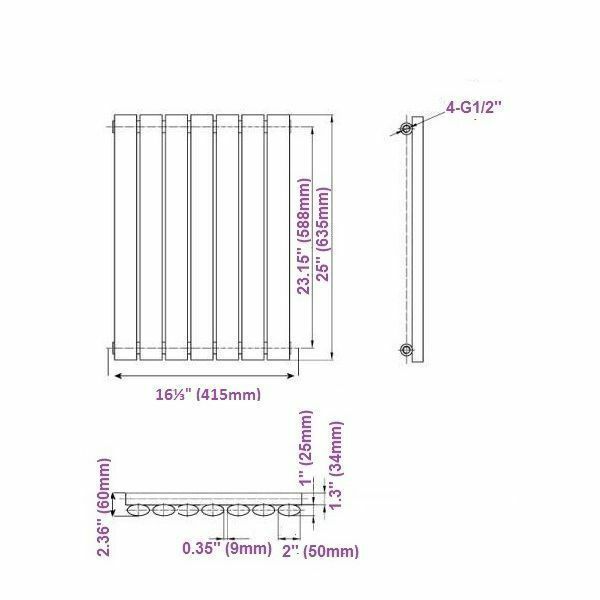 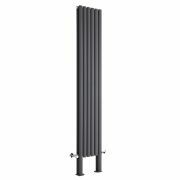 Revive - Black Horizontal Single-Panel Designer Radiator - 25" x 16.25"
Ischia - Hydronic White Heated Towel Warmer - 29.5" x 17.75"
Arch - White Hydronic Heated Towel Warmer - 70.75" x 19.75"
Bring any room in your home right up-to-date with the Revive horizontal designer radiator from Hudson Reed, which features a gloss black finish and oval columns. 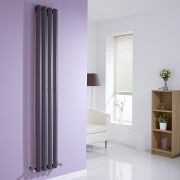 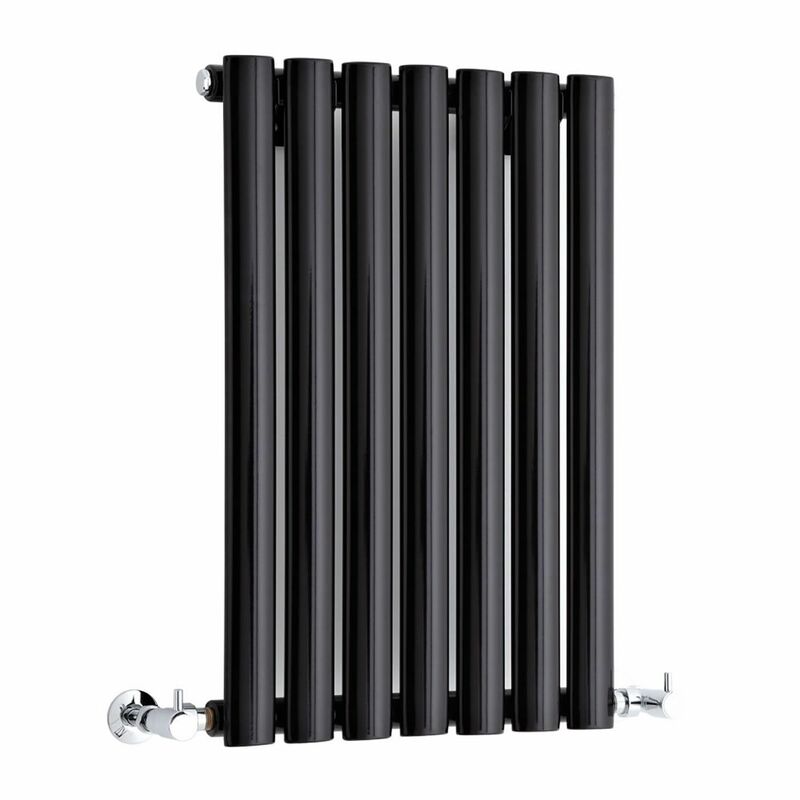 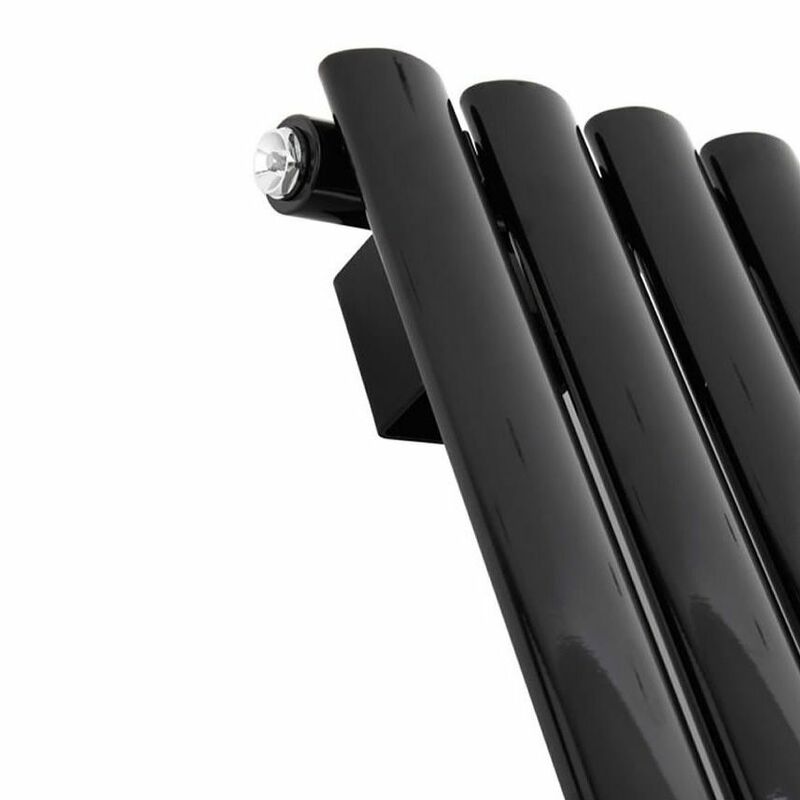 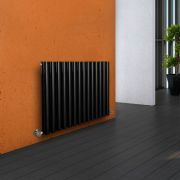 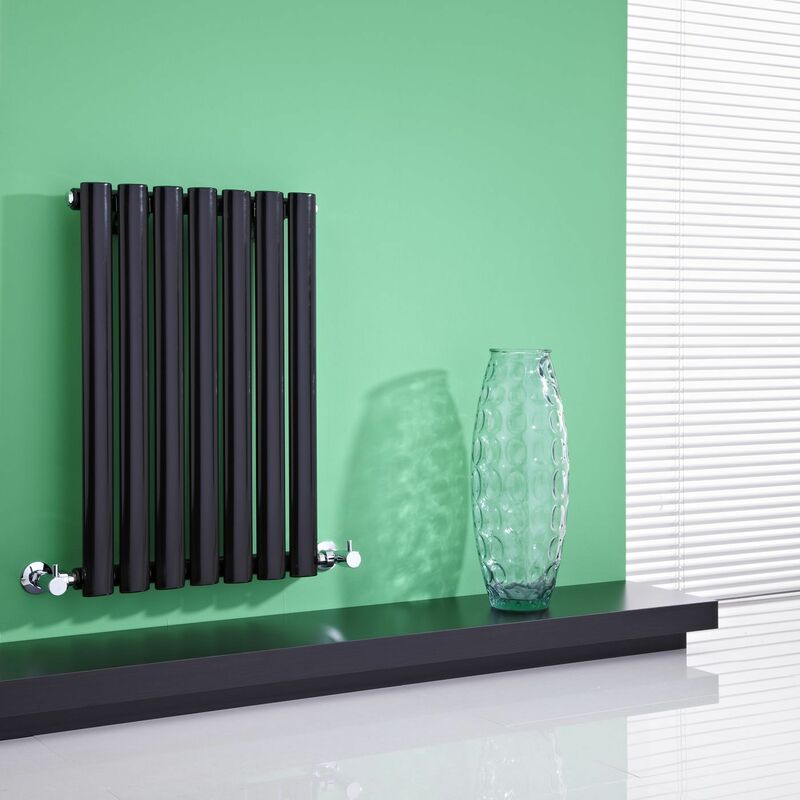 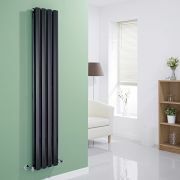 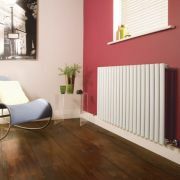 Supplied with the valves, this designer radiator boasts a superb heat output to ensure your room is quickly transformed into a warm and inviting space. 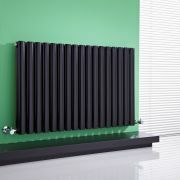 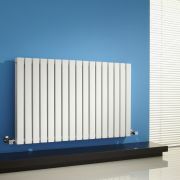 This horizontal designer radiator is perfect for adding a touch of contemporary style to your lounge, kitchen, bedroom or bathroom. 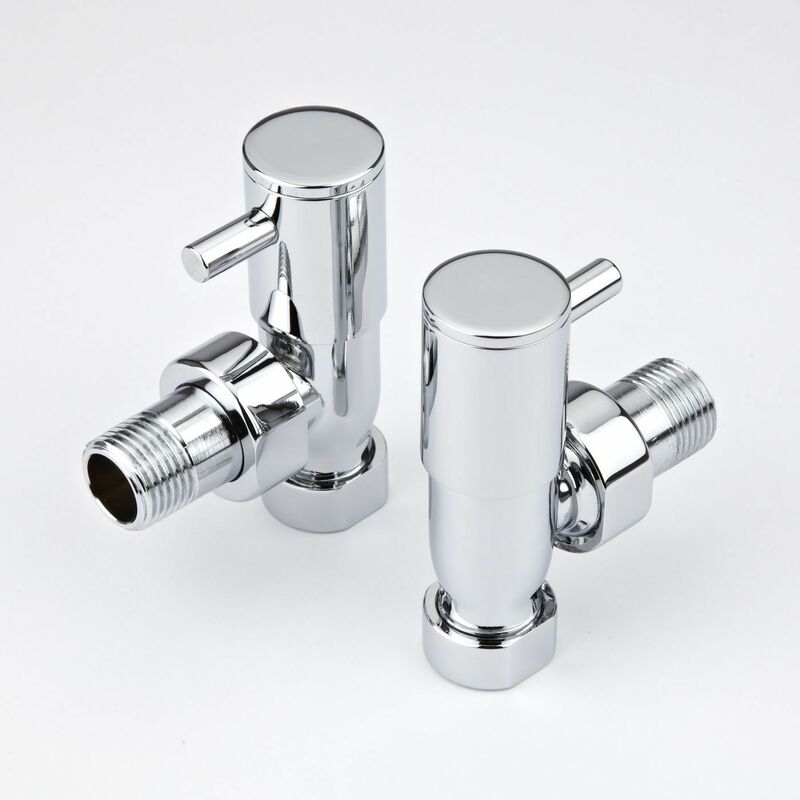 • Suitable for bathroom, cloakroom, kitchen etc. 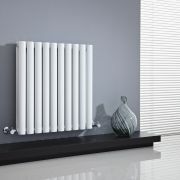 Buy now, to transform your bathroom or other living space, at an affordable price. 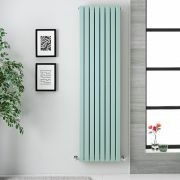 Revive - White Horizontal Double-Panel Designer Radiator - 25" x 23.5"
Sloane - Mint Green Double Flat Panel Vertical Designer Radiator - 70" x 18.5"
Revive - White Horizontal Single-Panel Designer Radiator - 25" x 46.5"
Sloane - White Horizontal Double Flat-Panel Designer Radiator - 25" x 39.25"
Edifice - Anthracite Vertical Single-Panel Designer Radiator - 70" x 11"
Edifice - Black Vertical Double-Panel Designer Radiator - 63" x 11"
Revive Plus - Anthracite Vertical Double-Panel Designer Radiator - 78.75" x 14"
Revive - Black Horizontal Double-Panel Designer Radiator - 25" x 39.25"
Revive - Black Horizontal Double-Panel Designer Radiator - 25" x 32.75"
Edifice - Anthracite Vertical Single-Panel Designer Radiator - 70" x 16.5"
You're reviewing:Revive - Black Horizontal Single-Panel Designer Radiator - 25" x 16.25"